Founded in 2005, after 1 demo HRIZG was quickly signed and released their debut album “Oaken Path of Grief” in 2007 establishing a large and loyal underground fan base. Signing with iconic Metal institution Moribund Records in 2011, HRIZG immediately unleashed their landmark 2nd album, "Anthems To Decrepitude", which garnered critical praise from both press and fans alike for its roots in the legendary sounds of Mayhem, Root, Mystifier, Tormentor and Mortuary Drape while cultivating a sound uniquely their own. Not a band to remain idol, they swiftly released the “Inferno” MCD also in 2011, followed by HRIZG’s ground-breaking 3rd album, "Individualism", which saw the band further expand their trademark sound and grow dramatically in both song writing and composing skills. 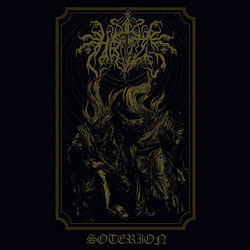 Now HRIZG returns with "Soterion", their most accomplished, complex and mature release to date. While keeping their classic original sound rooted in the 1990’s Black Metal masters, "Soterion" see’s HRIZG adding 80’s Thrashy Celtic-Frosty elements into even more dynamic song writing, all without sacrificing the “rocking” vibe of true Heavy Metal! With "Soterion" HRIZG initiates a new Inquisition not just in Spain – but one that will subjugate the entire Heavy Metal world!